Alhaji Mohammed Bintube Fin Africa Institute, Milan (Italy). Mohammed .M. Bintube, began his career with New Nigerian Development Company (“NDDC”) in 1982 as an Investment Executive and rose to the position of Senior Investment Executive. He moved into core banking in 1989 with Commercial Bank (Credit Lyonnais) Nigeria Limited and served variously as Head of Corporate Finance and Medium Corporate and Private Banking Departments. He was member of the Bank’s Credit Committee and Executive Management Committee. He joined FSB International Bank Plc in 1995 as the Head of the Institutional Banking Group. At FSB, Alhaji Bintube rose from the rank of Assistant General Manager to Executive Director and successfully oversaw the growth of various businesses within the bank including: Corporate Banking, Public Sector, Private Banking, Consumer Banking, Financial Institutions(including insurance companies ) and the Energy Sector. He served on the Boards of many notable Nigerian companies as Director including: Nigeria Reinsurance Corporation, Hogg Robinson Nigeria Limited, Nigeria Life and Pension Consultants and Nidogas Company Limited. 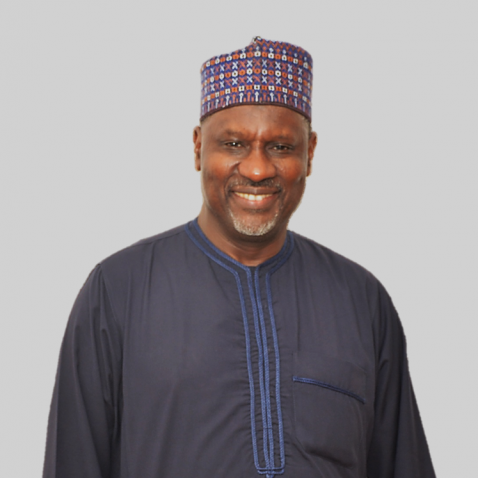 He was the Chairman of The Finance & General Purpose Committee of The Board at Nigeria Re-Insurance Corporation. He was a sub-committee member of The Technical Committee on The Privatization and Commercialization of The Federal Government of Nigeria (FGN). He was also a member of the Business Support Group of The Vision 2020 Committee of The FGN. He resigned from FSB in June 2004 to take up the new challenge of establishing and driving Nigeria’s first Islamic Bank, Jaiz Bank Plc. He holds a Bachelor’s Degree in Business Administration from Ahmadu Bellow University, Zaria and an Alumnus of Colombia Business School, New York, Wharton Business School, Philadelphia, INSEAD of Fontainebleau, France etc.